Most of home owners in California have at least a fruit tree in their backyard. When the fruits are ripe, people picked them and give them away because there are just too many! Sometimes they are so ripe that they just fall off the trees and rot on the ground. A few days ago, I received a bunch of plums and there is no way for our family to consume all of them. On top of that they are getting soft and needed to be eaten very soon. 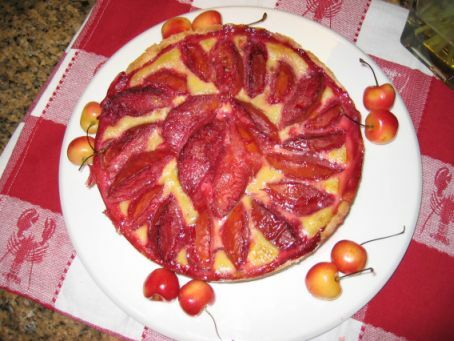 The smart choice for me is to bake a Plum tart and in the process all the plums will be used. 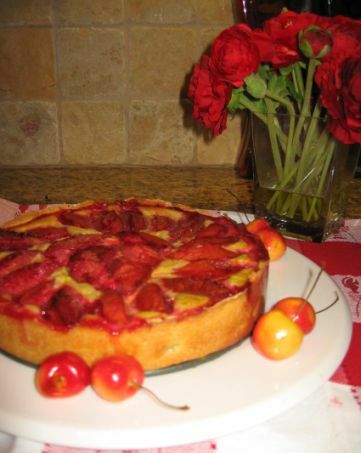 This will me give me chance to bake again! 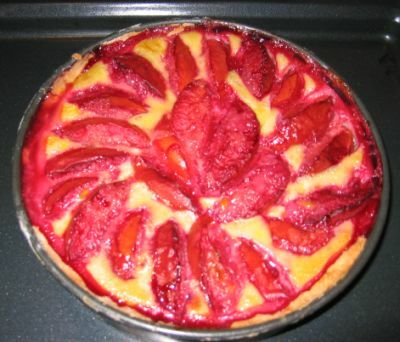 So here I am, back in my kitchen, baking and Alsatian creamy plum tart. 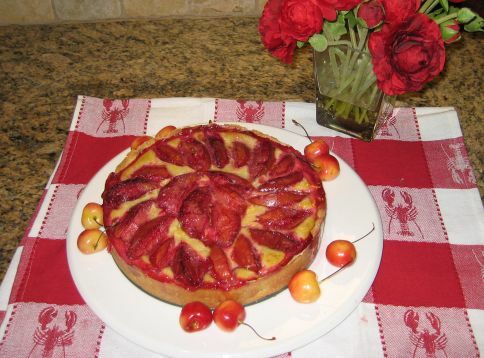 By the way the tart is very tasty and I love the creamy filling! Yum! 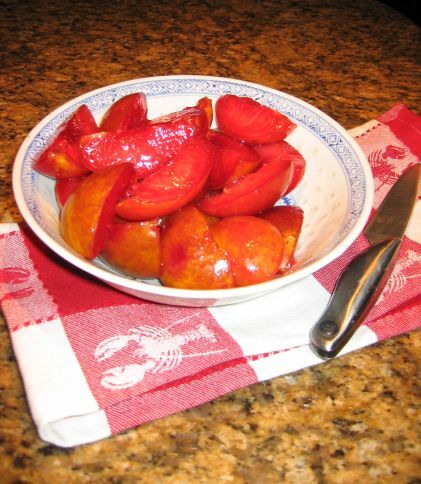 The plums are quartered and soaked in kirsch for 30 minutes or so.. 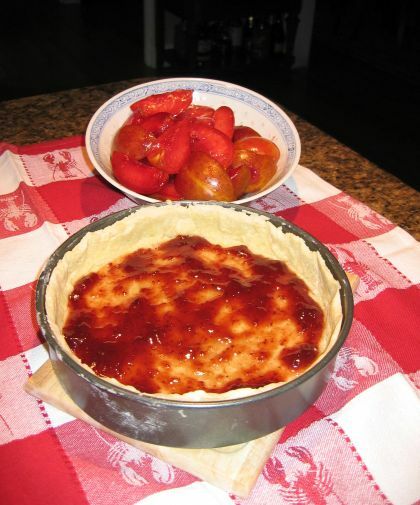 The crust is pre-baked and I just spread a layer of Strawberries jam on top of the bottom crust. Lining the plums so it will fit in the mold tightly! 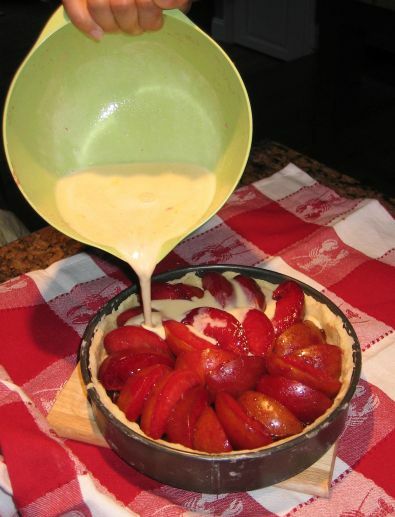 I am pouring the cream in tart for a creamy texture. 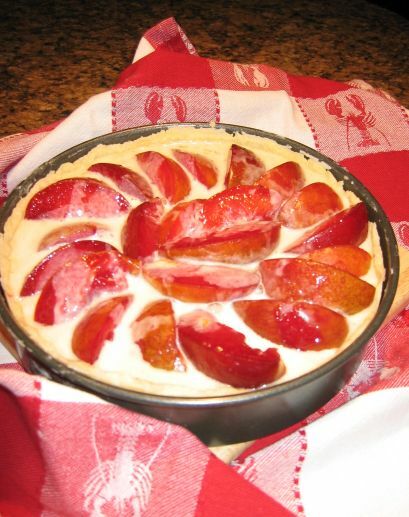 It is now filled with cream and ready to go in the oven for 40 minutes or so. Freshly out of the oven! 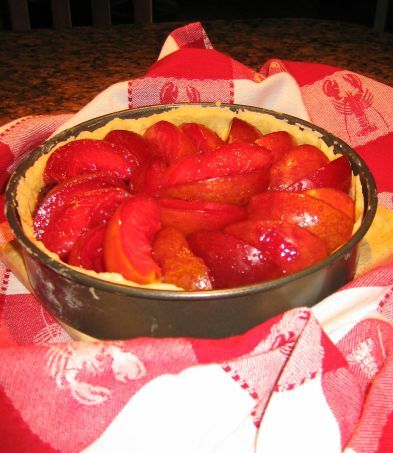 The tart will need to rest about 20 minutes or so and then it will be ready to served.